Crispy Onion Rings and FIC reminder! First of all thanks to Harini for letting me host this event. I believe our nature or personality traits or moods influences our creations .It could be as complex as an abstract painting or a brilliant piece of musical composition or as simple as the regular food we make on a day to day basis.Life in itself is so colorful,right from the the dresses we wear,the cars we drive,the walls around us,etc. Mother Nature too has blessed us with so much of color around us,be it the vast blue sea, dense green forest,dark brown mountains or the golden sand.Being in Midwest,how can I forget the white Snow? Scientific studies have shown that there is a a strong link between Human Nature and their choice of Colors.On the same lines I thought,to host this event that brings about the dimension of color in the food based on our every day mood.For instance,if you are a vibrant and happy fellow,you may chose to cook something YELLOW;calm and quiet,you may choose WHITE;excited,enthusiastic and strange choose ORANGE;angry and stressed choose RED and so on. send in the entries,to prove if there is indeed a scientific link between the mood and choice of colors! 1. Cook and post any food with emphasis on the theme "Express your Mood" in the finished product. 2.Please note that raw vegetables are allowed only in soups or salads. Also, do not re-post earlier posts for this event. It is fun when we get new entries. 3.Only vegetarian food allowed,no eggs too. 4.You MUST link your post to Sunshinemom's rules page and this post.Entries not linked to both these post will not be included in the final round up. 5.If your recipe is inspired or taken from a blog or site, please link by name instead of using a link with "here", to acknowledge the person and not the thing! It would be nice if you could use the logo in your submission. Looking forward to all bloggers participation and make this event a great success. Thanks Nithya for hosting FIC for me! I am quite eager to find out the expressions that will come out here during next month's round up:). Lovely theme Nithya :) Happy hosting! Lovely theme Nithya, happy hosting! Wow like the idea of not restricting the colors, thinking about what you mentioned about the colors, i think is pretty true. WIll forward couple soon. Wow! Thanks for hosting .Nice theme . Very interesting idea Nithya. For me WHITE is out of question, RED will work best I guess :-)). Hope to contribute something. Wow thats an interesting theme!! Nithya, nice idea....sounds great...happy hosting dear..
interesting idea. will try to send some entries. Oooh, that's both interesting and challenging. Let me see what I can cook up! Interesting theme.. happy hosting !! Nithya, I love this theme...will try to send in some entry! Are multiple colored entries allowed? This is my first visit to you.This very interesting event. I would like to forward my recipe! Just wanted to update that I have added your blog to my Food Blog List. Do have a look to check if its all fine. Please do link my food blog list to your blogroll. First time on your blog. Would like to post something too. I have a question- Do I need to send picture of my own cooked recipe or any picture of that recipe would do? I am a first timer here. Will you please let me know if the reipe picture that I send for the entry has to be from the original recipe or can I send any picture available on the web for that recipe. The recipe would of course originally be mine. Thanks all for the comments and am looking fwd to ur participation.Sonia - the picture has to be urs....the original one only. I have sent you my entry.. Looking forward to the roundup. 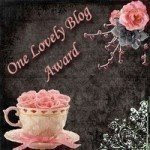 hey...can i participate too?...was just wondering....came to this oage through sunshine mom's blog! Preeti - You can send me ur entry too:)Looking fwd to it. Can I send more than one picture? Can I am having trouble reducing the pixel size to 300. I will still try, but can I send the original picture size if I am not able to? Sent you the post details thru email..please acknowlege. I love the idea behind this event and I think I have the perfect post for this. But I just read no eggs and this is French toast :( Maybe next time then. Just now sent my entry..Pl scheck whetehr both entries satisfy the rules..